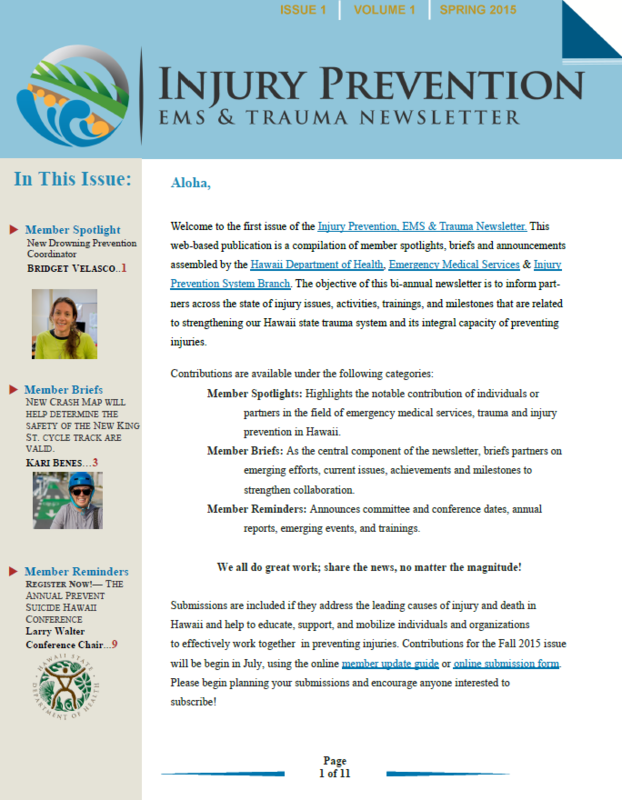 The State of Hawaii, Department of Health, Emergency Medical Services & Injury Prevention System Branch, collaborates with partners across the state to address the leading causes of injury and death in Hawaii, by educating, supporting and mobilizing individuals and organizations to incorporate comprehensive and cohesive injury prevention strategies in their daily activities. 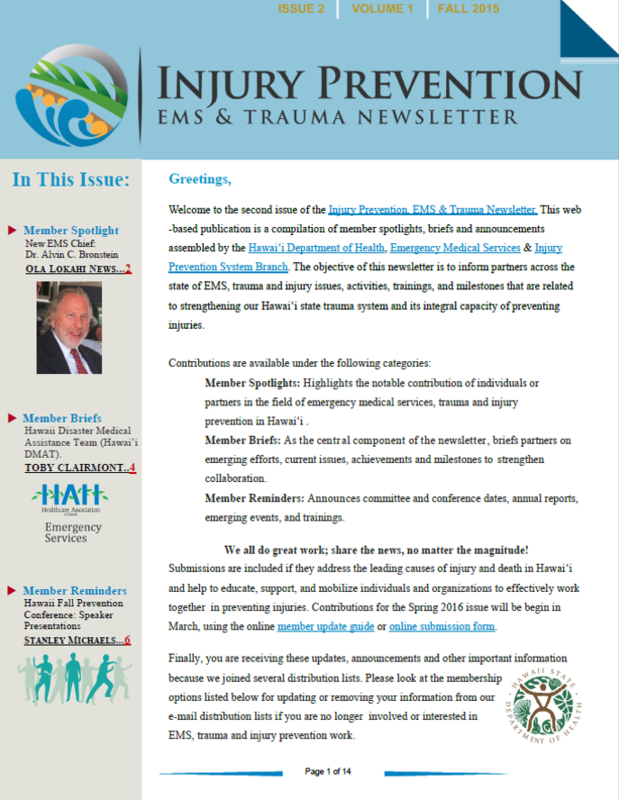 This Injury Prevention, EMS & Trauma Newsletter – is designed to keep you informed, bi-annually, about injury issues, activities, training’s, and milestones, that collaboratively strengthen our Hawaii EMS and Injury Prevention System. Please subscribe below! Website of Partnership or Group? From the drop-down list, which partner/ group are you representing? 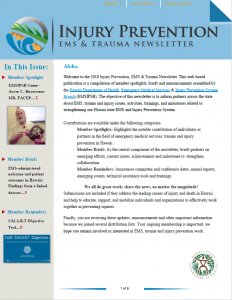 Website of group you're representing? Name Acknowledged ____________________? Title and Credentials (if applicable)_____________? Email_____________? 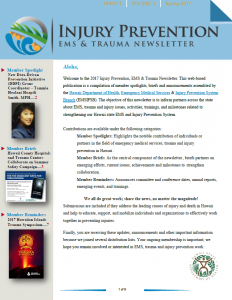 Please (in at least 140 words) acknowledge the individual or partner for their work completed within the last 6 months. 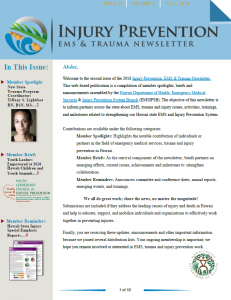 You may also elaborate on the implications of their notable effort around the capacity of the state trauma system and preventing injuries. (upload photos below). 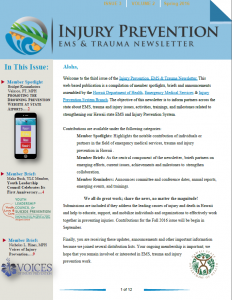 You understand and accept the terms below by submitting this update. 1. 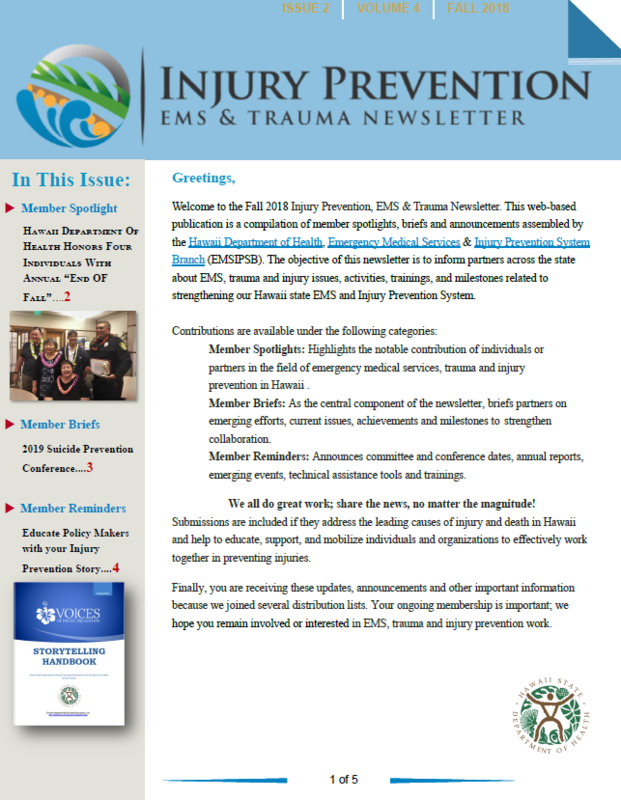 The editors of the Injury Prevention, EMS & Trauma Newsletter reserve the right to edit, review and approve your submission. 2. You took reasonable efforts for approval before sharing the submitted photos.